An obscure economic theory favored by left-wing politicians like congresswoman Alexandria Ocasio-Cortez has been derided by one of the most influential figures in the world economy, IMF chief Christine Lagarde. “We do not think that the modern monetary theory is actually the panacea,” Lagarde said at the International Monetary Fund’s spring meeting in Washington. Lagarde joins a growing list of mainstream economists and market participants who have criticised Modern Monetary Theory (MMT) as something offering nothing to the world economy. 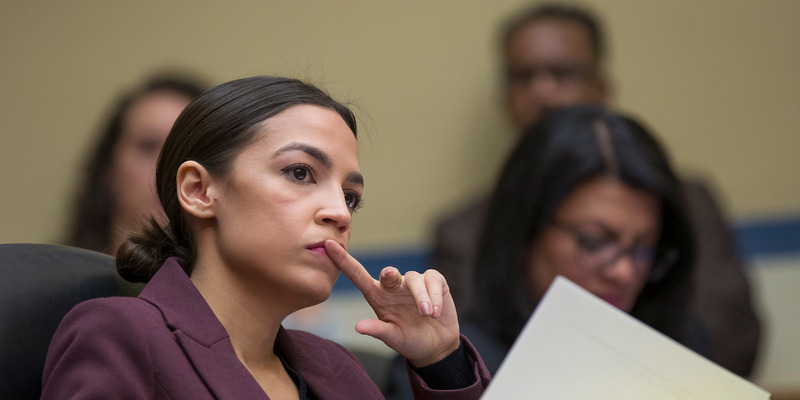 One of the world’s leading voices on the economy has poured cold water on the viability of an esoteric economic theory popularized by Democratic Rep. Alexandria Ocasio-Cortez. Christine Lagarde, the International Monetary Fund’s (IMF) managing director, suggested that Modern Monetary Theory (MMT) — which promotes governments creating more and more money to spend freely — is not a solution to the world’s economic problems. “We do not think that the modern monetary theory is actually the panacea,” Lagarde said Thursday at the International Monetary Fund’s spring meeting in Washington, as reported by Bloomberg. Ocasio-Cortez is a major proponent of MMT as she looks to build support for her policy ideas including a Green New Deal and an expansion of Medicaid. MMT proposes that budget deficits may not be as bad as conventionally thought as a government that controls its currency could simply pay off its debts by creating more money. Earlier this week the IMF’s chief economist slammed the theory and said there was no “free lunch,” according to Bloomberg.